Spring is finally here, and after this past winter, it feels like summer! 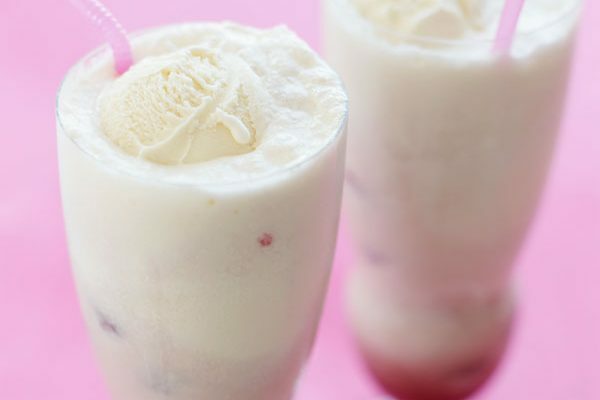 What better way to celebrate the warm(er) weather than sitting back with a tasty ice cream cocktail? You’re bound to feel like a grown up kid, reminding you of summer vacation and the fact that winter won’t be coming around again for at least six months. Blend and serve in a tall glass, mug, or parfait glass. Blend and and serve in a champagne or cocktail glass. Blend and serve in a tropical glass or mug. Blend together and pour in a parfait glass. Garnish with whipped cream and cinnamon. Frappe in a parfait glass. Garnish with whipped cream and the remaining 1/2 banana. Blend all the ingredients. Add small amounts of ice until the drink is slushy. Serve in chilled cocktail glass. Top with whipped cream and chocolate sauce. Combine the ingredients in a tall glass or mug. Blend until smooth and pour into a cocktail glass. Garnish with shaved chocolate.